You can also use walnuts if you don’t have pecans. 1.) 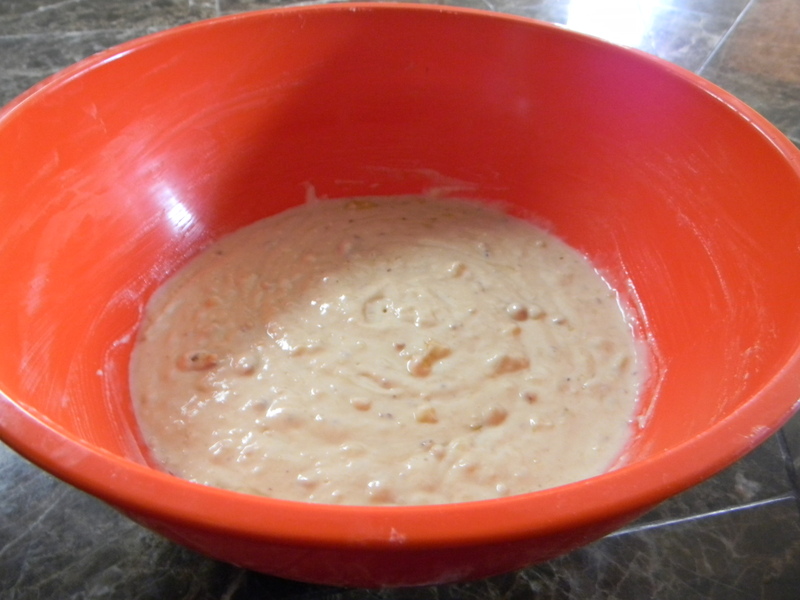 In a large mixing bowl, combine the flour, baking powder, sugar, and salt. In a separate bowl, whisk together eggs and milk and pour into dry ingredients. Pour in melted butter, vanilla, honey, pecans, and banana and stir well to combine. 2.) Preheat griddle or large skillet over medium heat. When hot, grease griddle with butter. 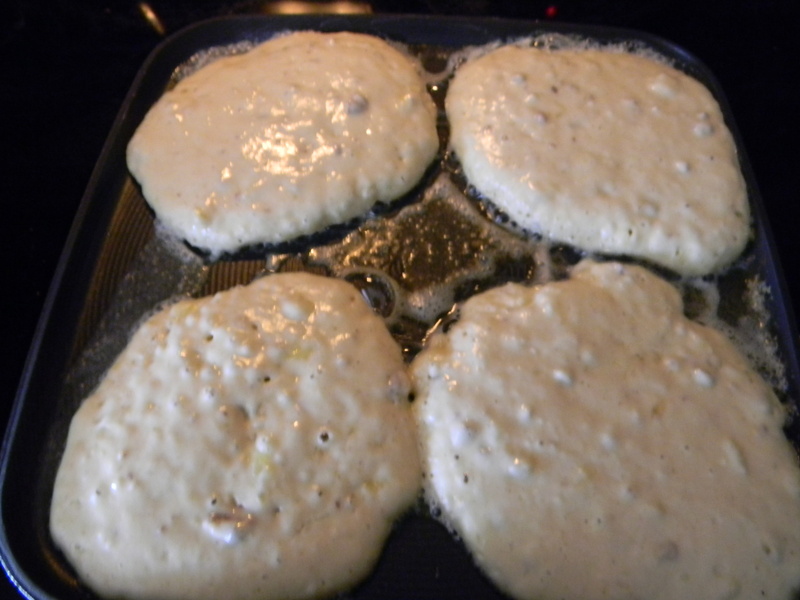 Pour in 1/4 cup of batter per pancake onto hot griddle, forming 4 pancakes. Cook pancakes until bubbly in the center and dry around the edges, about 2 minutes. 3.) Flip pancakes with a spatula and let cook for another 2 minutes on the other side until golden brown. Remove to a serving plate and repeat with remaining batter. 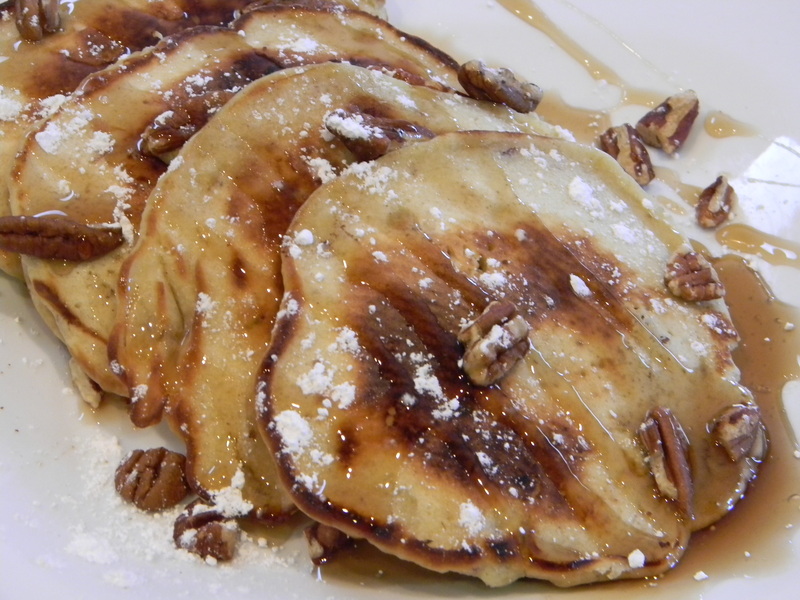 Sprinkle with pecans, maple syrup and a dusting of powdered sugar.